This Helford river, or estuary, where luxuriant green woods and fields meet the sea, has long been recognised for its scenic beauty and biological importance. The shoreline is over 47km in length and includes a wide range of habitats, from the exposed rocky coasts at the mouth to the steep-sided muddy inland creeks. Residents and visitors alike, appreciate the peaceful atmosphere, many taking to the water in boats, whilst commercial activities are closely linked to the sea or tourist industry. Whilst statutory powers now exist for the conservation of key marine species and habitats, emphasis is still on the voluntary approach which is considered to be as important to achieve success in maintaining the area’s outstanding environmental quality through the co-operation of the estuary users. It is the intention to encompass the interests of all land-owners, users and visitors that underpins the VMCA’s approach, together with rigorous standards of data-collection and presentation. The SAC also supports Biodiversity Action Plans (BAPs) for species and habitats. The Helford is one of the few locations where the Fan mussel (Atrina fragilis) survives in Britain, the whole estuary is a statutory Bass (Dicentrarchus labrax) Nursery Area and the native oyster fishery is important. It is the type locality of the rarely recorded Couch's goby (Gobius couchi) and there is a wide diversity of marine communities associated with eelgrass, a rich algal flora and many south-westerly species. Merthen Wood has been designated as a Site of Special Scientific Interest (SSSI). The shore at the mouth of The Helford from Rosemullion Head southward was one of the first intertidal SSSIs, followed more recently by much of the intertidal area within the estuary complex. 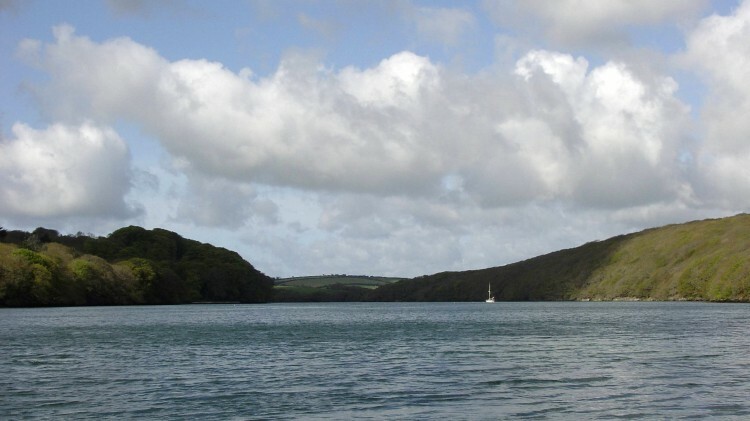 The whole Helford River system falls locally into a Cornwall Area of Outstanding Natural Beauty and is identified by the Cornwall Wildlife Trust as a Cornwall Nature Conservation Site within Conrwall Council's former Kerrier District.